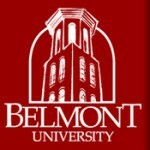 Each summer Belmont University sponsors a short term (3 to 4 weeks) travel study to China, sometimes including Hong Kong. The trip themes vary, making combinations of introductions to China’s history, culture, conversational Chinese language, business, homestays, philosophy, religious beliefs, and politics. The mission of Hong Kong Baptist University is to provide quality higher education in a Christian environment, combining broad-based liberal education with academic and professional vigor. Choose from a variety of coursework at this liberal arts University in Hong Kong. Choose from semester long programs in Chinese Language and Cultural Studies, Liberal Arts and Business or a summer Intensive Chinese Language and International Business program in Shanghai. Explore sustainability issues in Beijing, intern with a local company in Shanghai, or take your advanced Mandarin to the next level in Nanjing. And with homestays, peer language tutors, cultural activities and excursions to local and regional sites, you’ll witness, first-hand, the history and dramatic transformation of China, as the nation emerges to take a dominant role on the international stage.